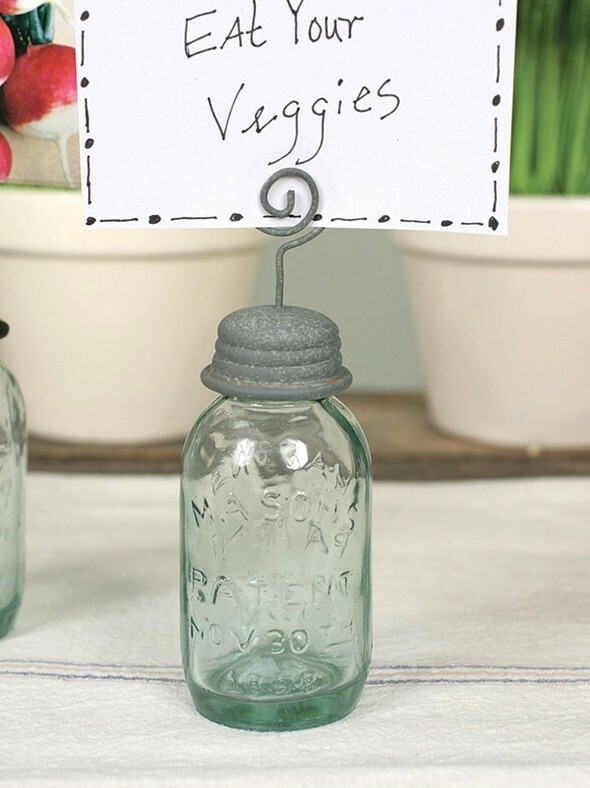 These mini Mason jar feature a barn roof finish lid with a metal wire with coiled top for easy insertion of a place card or photo. The lid is removable on each versatile holder, so you may add candies and favors to the jar. PLEASE NOTE: Sold as a set of four (4) and prices quoted below are per set. Pictured place cards are not included. "I found your website through a friend. You had a great selection, and I am very happy with my new wedding favors ideas that all of us can enjoy." Amber Z.